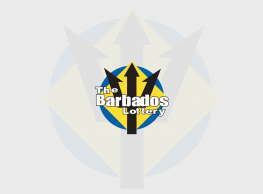 Bridgetown, Barbados - January 30, 2019: An excited Esther McClean has collected a cheque for $250,000 from her recent Double Draw win. 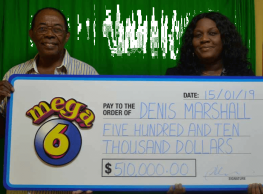 When Ms McClean purchased her tickets, she had no idea she would win big. She bought her tickets as she normally does every morning, then went on with her day. A few hours later she decided to check her tickets online. 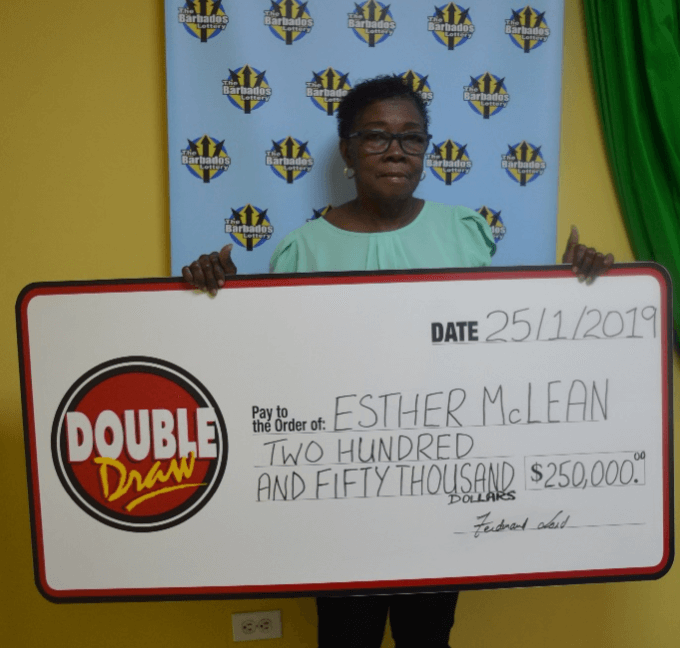 Upon realizing that she had won, she told her son, “I have money, and a lot.” McClean says she always buys the multiplier, so she knew instantly that it was a big win. McClean added that it felt so surreal that she and her son had to triple check to ensure it was true.